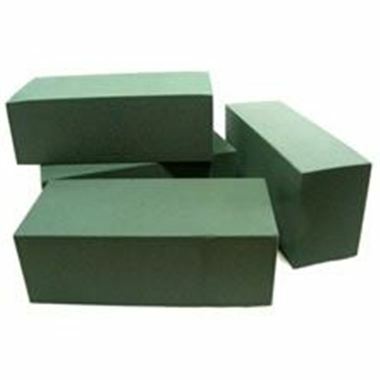 Pack of 4 Floral Foam Wet Florists bricks (22.5x11x7.5cm). Quick saturation and low drainage. The foundation of most flower arrangements. Can be taped to plastic dishes with Anchor Tape (see floristry tapes category).